Jonny Horsfield, Owner and Creative Director of H2 Yacht Design, says the first rule of yacht design is that you must prepare a good brief. This means the owner needs to sit down with his captain and his crew and with his designer and establish exactly what he wants for this yacht. 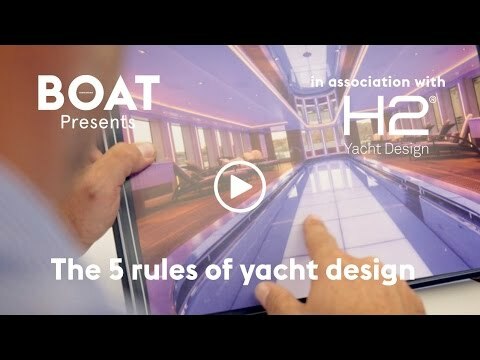 Watch the video below to see Jonny explain why it’s important to start with a GA and talk through his other rules for yacht design. Beauty and elegance in the exterior is yacht design rule number four, Jonny says, as he gives a great example of how he has done this on previous project Maryah. “She has a magnificent balcony higher up on the decks and the styling evolves around that balcony and so it looks amazing but also it’s the perfect spot to watch the world go by,” he says.